All content provided on the Milton Scene website is for informational purposes only. 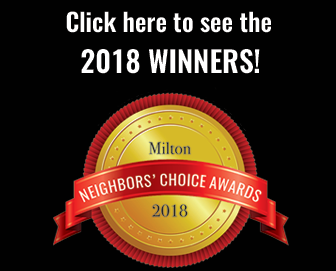 The owner of the Milton Scene website makes no representations as to the accuracy or completeness of any information on this site or found by following any link on this site. The owner will not be liable for any errors or omissions in this information nor for the availability of this information. The owner will not be liable for any losses, injuries, or damages from the display or use of this information. These terms and conditions of use are subject to change at any time and without notice. Anonymous comments are not permitted. You must use your full, real name. Comments containing language or concepts that could be deemed offensive will be deleted.Comments that attack a person individually will be deleted. The Milton Scene values the privacy of individuals who visit our website. This statement sets forth the important information which you need to know about how we collect and use personal information from website visitors. The type and amount of information we receive about you depends entirely on how you use our site. For instance, you may read and download information provided on the site without providing any personal information at all. Our web server will collect your domain name (for example, www.aol.com) and means of entry to our website (for example, via a particular search engine), the date, time and duration of each visit and the site pages visited. This information is collected and used for informational purposes only. We use this information to measure site usage and to make the site more beneficial to our visitors. Personal information including name, location, e-mail address, company affiliation, telephone number, etc. is provided on a voluntary basis only. We use this information to respond to inquiries and requests for further information. We will not share or sell the personal information you provide us to a third party at any time. The Milton Scene takes reasonable precautions to keep all information obtained from our online visitors secure against unauthorized access. The Milton Scene does not knowingly collect information from or about children age 13 and under. Our site contains links to other Internet websites, and the Milton Scene is not responsible for the content or privacy practices of any linked sites. The Milton Scene sometimes uses affiliate links. When users purchase directly through an affiliate link, the Milton Scene receives a small commission. You, the consumer, won’t pay a penny more, but we get a few pennies that go toward keeping our lights on. In addition to other affiliations, we are a participant in the Amazon Services LLC Associates Program, an affiliate advertising program designed to provide a means for us to earn fees by linking to Amazon.com and affiliated sites. All of the information on this website is presented in good faith and believed to be correct. However, the Milton Scene makes no representations or warranties as to the completeness or accuracy of this information. Information is supplied upon the condition that persons receiving it will make their own determination as to its suitability for their use. 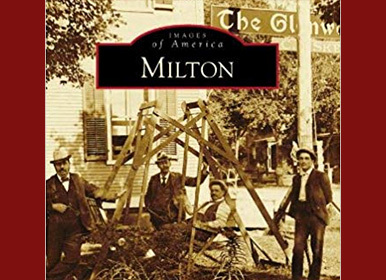 In no event will the Milton Scene be responsible for damages of any nature whatsoever resulting from the use of or reliance upon this information. We may offer interactive polls to users so they can easily share their opinions with other users and see what our audience thinks about important issues. Email sign-up is sometimes required for participation in polls. To opt out out of email signups, click on the manage your preferences or unsubscribe links at the bottom of any Milton Scene Daily email. The Milton Scene is viewed best in the following browsers: Chrome, Safari, and Firefox.